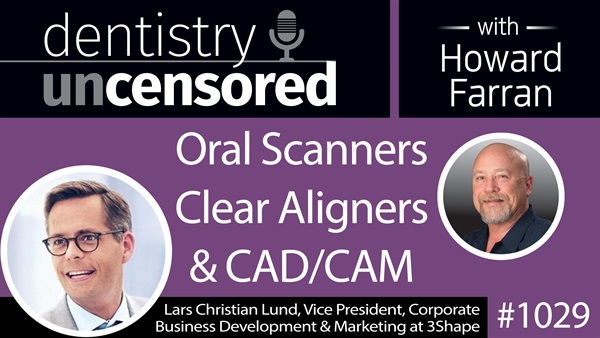 Lars Christian Lund is the Vice President Corporate Business Development & Marketing of 3Shape, a developer of 3D scanners and CAD/CAM software solutions for the dental and audio industries. An experienced med-tech VP with over 10 years executive management experience from market leading international companies, Lund leads the 3Shape Global Marketing team and business development with focus on strategic account leadership, market development, M&A and corporate development. Based on a strong educational foundation from some of the best business schools in the world, Lund possess a strong leadership track record with strong financial results & top ratings from colleagues, employees, customers & managers. Through sharp analytical skills, teamwork, persistence and a strong focus on the customer, Lund is capable of covering a wide range of positions within sales, marketing, general management, business development and change management.